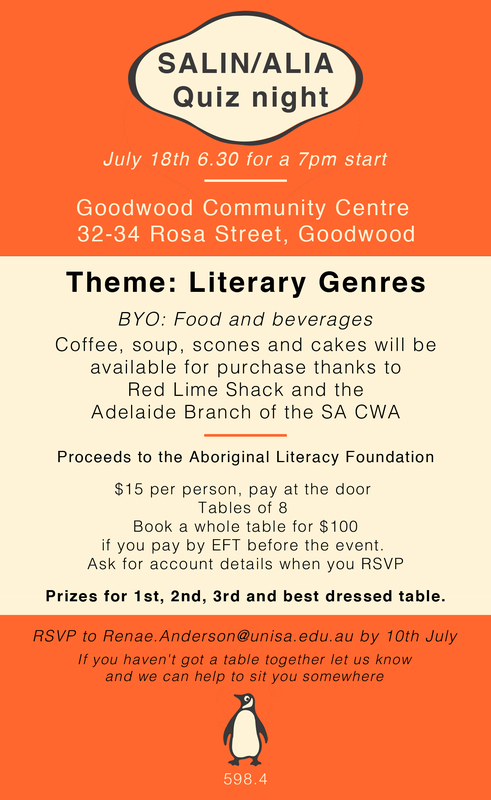 Coffee, soup, scones and cakes will be available for purchase thanks to the Red Lime Shack and the Adelaide Branch of the SA CWA. Proceeds to the Aboriginal Literacy Foundation. Prizes for 1st, 2nd and 3rd. Haigh’s Chocolate hamper for best dressed table. Book a whole table for $100 if you pay by EFT before the event. If you haven’t got a table together let us know and we can help to sit you somewhere.